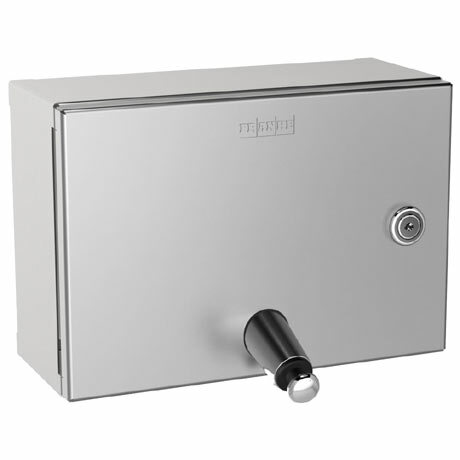 The Rodan RODX619 is a quality constructed soap dispenser made from 0.8mm thick satin finish stainless steel. It features a folded front cover and lock which comes with a Franke standard key. It's 1 litre tank allows you to fill it with liquid soaps and lotions while the push button on the front conveniently dispenses the soap. Includes stainless steel screws and dowels.